Q&A with volunteers in Peru! Their answers, opinions and experience. 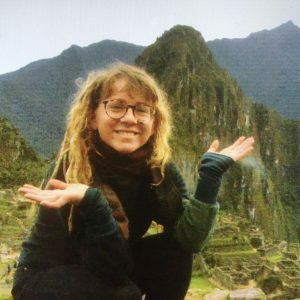 I chose Peru Volunteer, because they had the option of an Art Project, where I not only get to work with the people from here, but also get to know the Peruvian art, in terms of textile and making. That is also the reason why I chose Peru: because of the cultural aspect, and the challenge of a new language. What is your schedule for the Spanish course and volunteering? Well, the Spanish course was pretty relaxed. We had lessons in the morning, and in the afternoon or evening we were making trips with the Spanish School, visiting local sites like Sacsayhuaman. Now with the volunteering I have three days in a textile shop, which is in the morning and the afternoon off. The other two days are at a school, helping the teacher with the art lessons. I had four weeks of Spanish lessons and four weeks of volunteering. One week I had off because there was no school because of the local holidays, so I used this time frame to go to Machu Pichu and Huacachina. What is your opinion about the Spanish course? I think they helped me so much! I couldn’t really talk any Spanish before, only the basics. It was helping that the groups at the Spanish school were so small and that the teachers only spoke in Spanish. The teachers were so friendly and it was so fun that you really looked forward to go to the lessons. And that helps a lot in learning. What is your opinion about the volunteering? I like what I am doing now in the textile shop, the people are so welcoming and I really learn a lot and they also have a museum with so much interesting information. Today for example there was a class on a school trip from Canada in the museum. And for the next German speaking group visiting the museum, I can give them the tour about the history of the Textiles! It is a bit diverse, working there but because now is low season not many people come in, most of the time it’s over travel agencies, sometimes fancy people, sometimes walk-ins. And being in the school is .. unorganized, but fun with the kids. What is your opinion about the cultural activities and Cusco? I think I got a pretty good overview of the city. I was so lucky with the Boleto Turistico, because I could visit all the museums and almost all of the ruins. For me it was a good mix of going to the city and doing Spanish lessons. I also liked the Salsa lessons a lot, visiting the theatre and Peruvian Cooking classes. 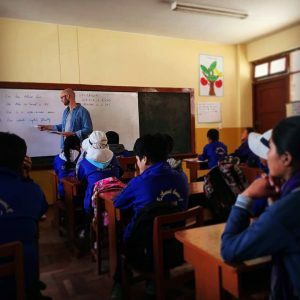 Would you recommend Peru Volunteer to other people? If so, why? I would recommend it if you know what you want and if you are an open-minded person who is open for the South American way of life. You should not go with high expectations, so in the end you might get surprised in a good way so it is even more exciting. I would recommend Peru Volunteer for learning Spanish, because the lessons were just so good! And there are many different options for volunteering, like the dog shelter, sports, teaching and other stuff. And although I for example didn’t end up with my top one choice, assisting an artist, I am so happy with the Textile Shop because I work with so funny and lovely people from whom I learned really much. 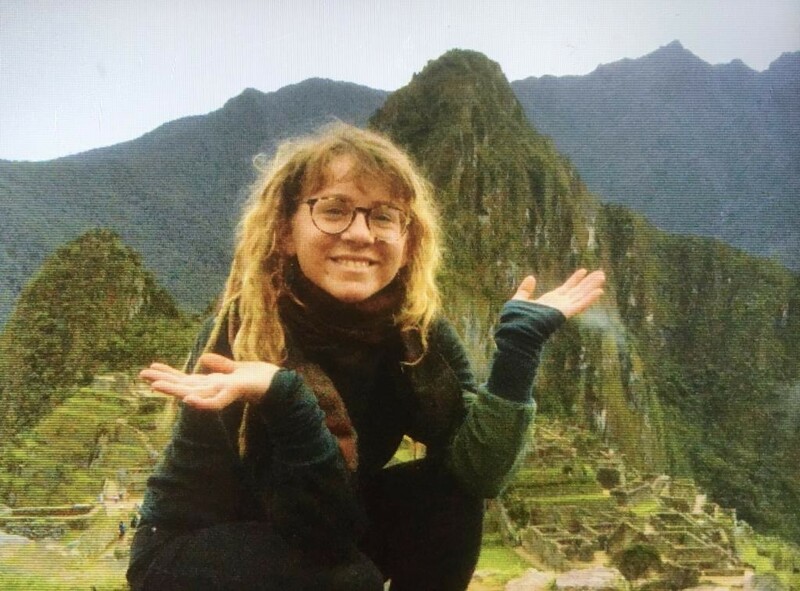 Why did you choose for Peru / Peru Volunteer? First of all I wanted to improve my Spanish level, that’s why I wanted to go to South America. I am also interested in the culture here: Peru has Machu Picchu, a lot of culture and interesting history. That’s why I wanted to go to Peru. I found Peru Volunteer through Google and the website looked good to me. I wanted to do something apart of my daily business, therefore I wanted to do volunteering and not just travelling around. I wanted to get to know the culture and I think the best way to get to know the culture is to live and work in the country. I am in total eight weeks in Cusco. What is your schedule for the Spanish lessons and volunteering? I have four times a week teaching English at a school. That is everyday, except Thursday. Three times per week I also have football training in the evening: at Monday, Wednesday and Saturday in the morning. The football project is organized by a Brazilian guy so the kids here have the opportunity to play football in a professional area and under professional circumstances. About the Spanish lessons: I don’t have Spanish lessons full week, I just have private lessons once a week for two or three hours. I just had it once, so I just met the teacher and we had some general conversations. The teacher was really good, she was interested and willing to improve my Spanish. So all and all my opinion is positive. Generally really good, but in the beginning it was a little bit chaotic. Maybe that’s because that is generally the Peruvian lifestyle. My project started a bit later and in de end we ended up in another school which is not in Cusco, but a little bit further away. It is really nice there, but unfortunately I need to travel a lot to go to my projects, which I didn’t expect. But overall the guy who founded the football project and the teachers in the school are really nice and they really appreciate that I am here. I think it is good to come together with the other volunteers and people from the Spanish school. It is nice to meet some people, speak some Spanish and get to know the culture. For example when you go to the cooking classes, then you know how to cook the Peruvian food. When you go to the Salsa lessons you get to know the typical style of dancing in South America. And it is fun. I really like Cusco. It is not such a big city like Lima where you are always stuck in the traffic. You can easily take a bus or taxi to the centre and from there you can reach all of the places by walking. There are a lot of nice restaurants, which are really good and cheap. I like the food here. Plaza de Armas is a nice place, there are a lot of parks and I like the San Blas area to study some Spanish. Would you recommend people Peru Volunteer? If so, why? If you want to step out of your comfort zone and want to improve yourself and get to know another culture, it is a really good opportunity. Volunteering in general is a good thing to do to improve yourself, personally and also language skills.